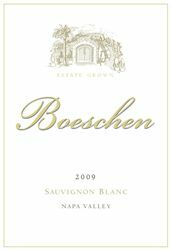 Boeschen Vineyards is a very small family-owned vineyard and winery committed to making the best possible Cabernet Sauvignon-based wines. For 20 years the Boeschen family has lived amidst the St. Helena estate vineyards and crafted the wines that comprise our 1,500 case production. The underground winery, 1800's-era Victorian gardens, and classic car collection are all a step back in time. The estate is very much Old-World, and the wines reflect that tradition and sense of place. Tastings are provided as part of estate and winery tours given by the family winemaking team. To join the wine club, visit www.boeschenvineyards.com or call 707-963-3674. The best way to secure access to current Boeschen Vineyards wine, as well as to future releases, is to join our Wine Club. The Boeschen Vineyards Wine Club guarantees your allocation of each new Boeschen Vineyards wine, with two shipments each year. Boeschen Vineyards is certified under the Napa Green Winery Program by the Napa County Department of Environmental Management (DEM) and the Association of Bay Area Government’s (ABAG) Green Business Program and completed all the regulatory components needed for environmental sustainability. These components included developing water and energy conservation methods, preventing pollution, and reducing solid waste. In addition to developing sustainable winery practices, this program is set to become the standard for the state of California. Boeschen Vineyards is certified under the Napa Green Certified Land Program. Boeschen Vineyards has created and implemented a customized farm plan with measured results that addressed all aspects of its property, vineyard land as well as non-farmed land, including practicing soil conservation, water conservation, stable drainage, riparian corridor enhancement, fisheries and wildlife habitat enhancement and long-term improvement and sustainability.